From politics to Hollywood, famous pieces of men’s jewelry have graced some incredible individuals. 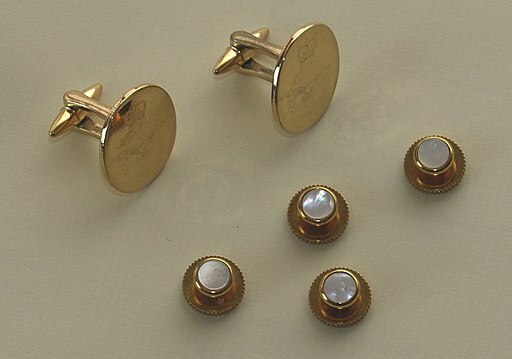 Gold cufflinks showing the Royal Air Force badge and matching dress shirt studs. Fred Astaire doing one of his iconic leaps during a dance performance. Fred Astaire epitomized the dapper gentleman of the 1930s and helped shape a legacy of style for decades to come. 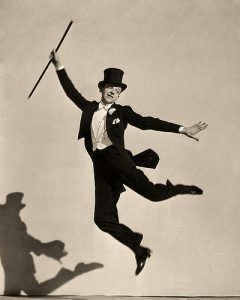 Astaire’s fashion sensibility embodied an elegance most apply to his skill as a dancer. A star of stage and screen, Astaire mixed traditions of tap, ballroom, and show dancing into a modern mix uniquely his own. He applied the same dedicated choices to his fashion as well, with some influence from the Art Deco movement. During the 1920s, Fred Astaire was in London performing across the stage and soaking up the culture and style. Upon his return to America, he made a splash on screen with his effortless movements and classic, aristocratic yet casual, dress. 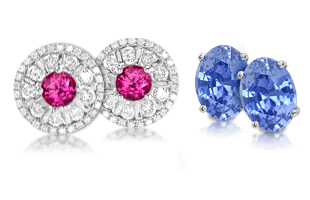 Astaire would make specific changes to clothing in order to accommodate the necessary moves of a dancer, but rarely missed an occasion in his formal wear to put on his ruby and diamond, or sapphire and diamond, shirt studs. 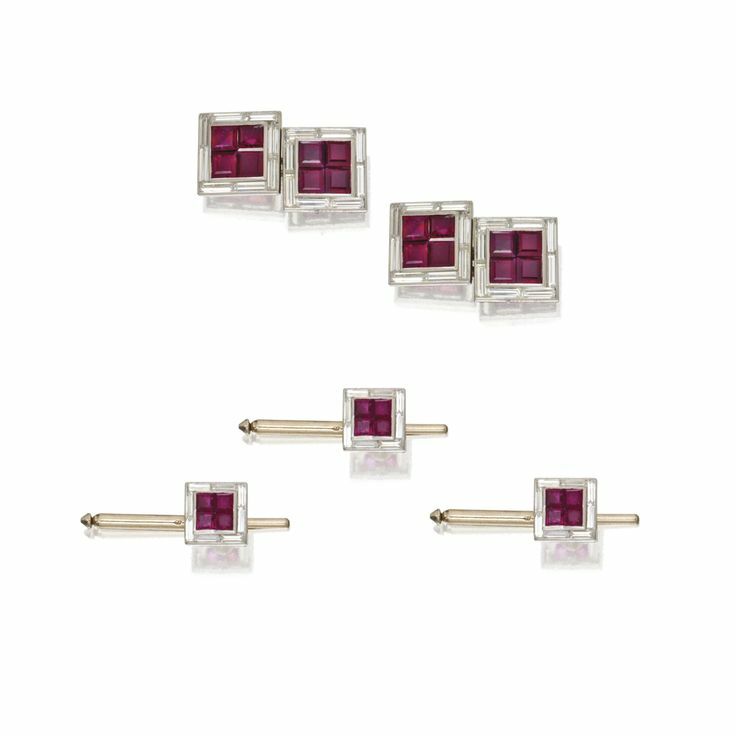 An 18K set of ruby and diamond shirt studs and cufflinks by Cartier. 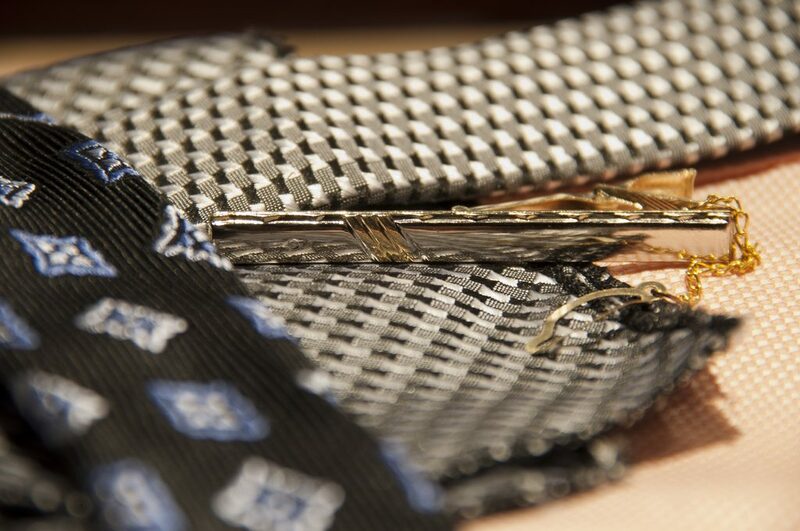 A tie bar commemorating President Herbert Hoover. 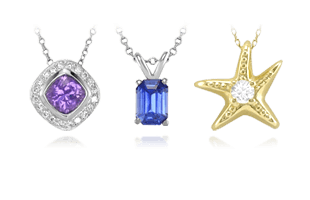 Photo from Just Cuff Links. A classic tie bar featuring “Ike” as a reference to Eisenhower’s nickname. Over the years, the tie clip or tie pin have been very popular items for collectors of Presidential memorabilia, especially as there are so many that get made during the campaign by candidates. While most feature the candidates name, a few have played with different designs, notably Dwight Eisenhower in his 1952 campaign. Affectionately nicknamed “Ike,” the slogan “I Like Ike” was adopted to great success during the campaign, and tie clips carrying the moniker were a huge hit. 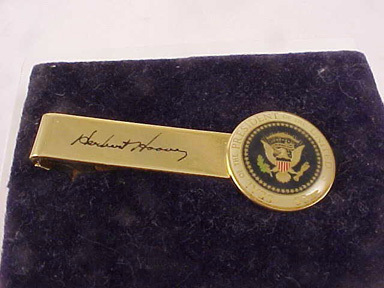 The tie pin produced by the campaign for Hubert Humphrey. 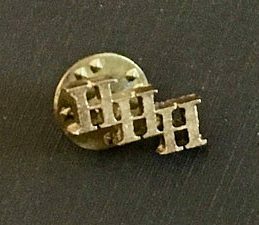 In his bid for the presidency in the 1968 election, Hubert Horatio Humphrey attempted to capitalize on letter recognition throughout his name by creating pins featuring only the initials. Ultimately, his run for the presidency was unsuccessful, but his tie pin in a step pattern was a favorite amongst supporters. 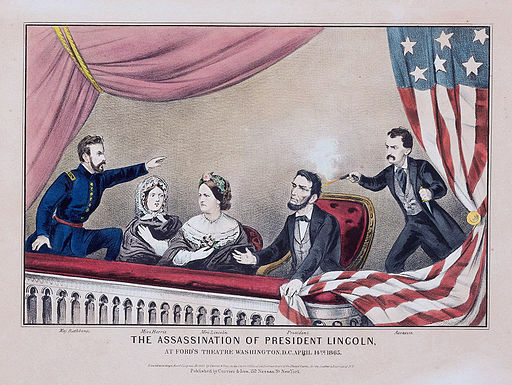 A color lithograph depicting the assassination of President Lincoln by Currier & Ives, 1865. 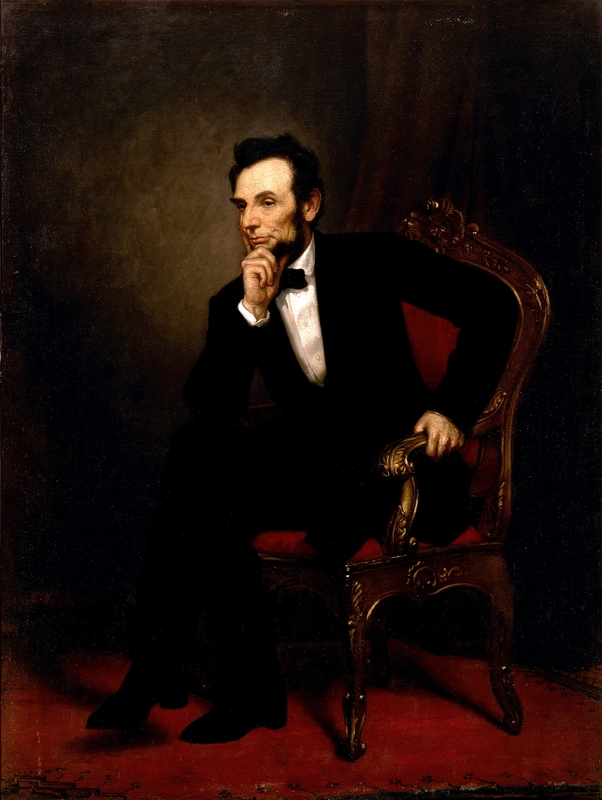 In the weeks following Abraham Lincoln’s assassination, his wife Mary Todd Lincoln, gathered pieces of his personal belongings to gift to friends and associates as remembrances of Lincoln. On the night of the assassination, April 14, 1865, Dr. Charles Sabin Taft was in the audience and attended to the President on the scene, doing everything possible to save his life. Dr. Taft was the son of a family friend and also served in the Union army as a surgeon frequently visiting with the Lincoln’s when they visited wounded soldiers. 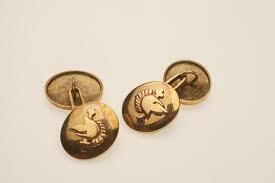 President Abraham Lincoln’s cufflinks as gifted to Taft. Mary Todd Lincoln gifted these cufflinks to Dr. Taft shortly after the assassination. 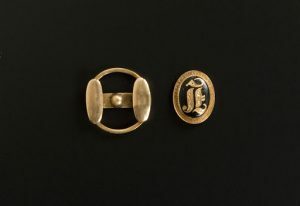 The cufflinks consisted of two pieces: a round backing of solid gold and an oval button with the initial “L” in gold, set in black enamel, and surrounded by a gold frame with delicate engraved detailing. A portrait of Abraham Lincoln by George Peter Alexander Healy, 1869. 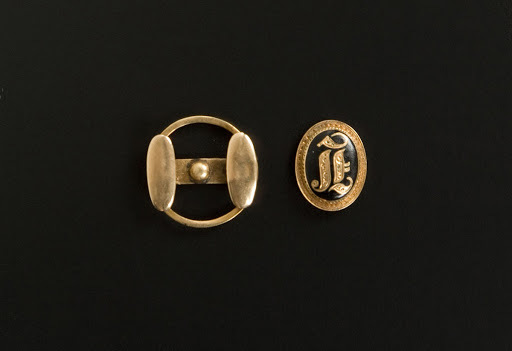 Upon his death in 1900, the cufflinks passed to his son Charles Clement Taft who then sold the cufflinks to Washington area antiques dealer in 1907. 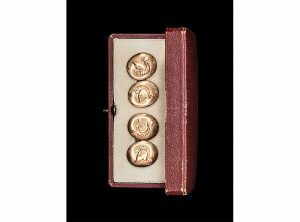 Shortly thereafter, the cufflinks were purchased by a major collector of Lincoln memorabilia, Major William H. Lambert of Pennsylvania. Lambert procured a special box for keeping the cufflinks and has provided them to museums and traveling exhibitions on a regular basis. 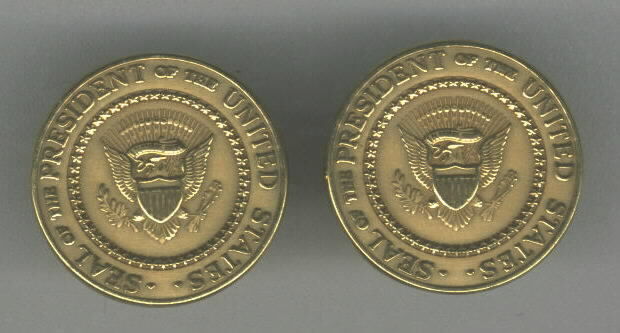 Presidential cufflinks like those worn by Kennedy. John F. Kennedy’s brown leather jewelry box is privately owned but has sometimes been a part of traveling exhibits. The jewelry box was used by Kennedy when he was President of the United States. The box includes the President’s scapula, holy water, Presidential cufflinks, and other cufflinks, such as the ones he borrowed from Texas’s Lt. Governor bearing the Great Seal of Texas. Lt. Kennedy on his navy patrol boat, the PT-109, during World War II. 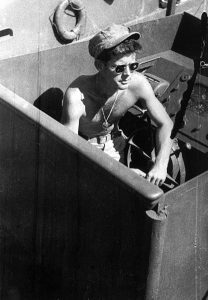 The jewelry box often traveled with Kennedy and contained various pieces at different times. On the weekend of the President’s assassination, which would occur on November 22, 1963, it was left at the ranch of Lyndon B. Johnson. 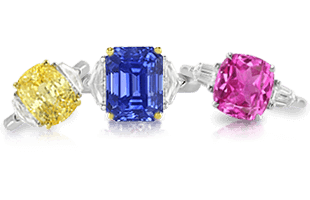 The provenance of the jewelry box has been verified by Dave Powers, President Kennedy’s friend and advisor and one time curator of the John F. Kennedy Library and Museum. John F. Kennedy’s famous PT 109 tie clasp was a reminder of his heroic actions as skipper of a Patrol Torpedo boat in the South Pacific in World War II. Kennedy also made a unique move during his 1960 Presidential campaign in efforts to promote Kennedy’s heroic service in the Navy to combat claims of his inexperience. 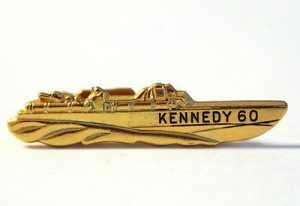 One of the most popular items was a gold-plated tie clip featuring the form of PT 109, the boat captained by Kennedy during WWII, that was sunk by enemy fire as Kennedy tried to rescue his crew. 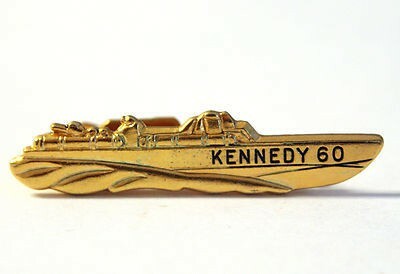 This tie clip is a very popular John F. Kennedy collector’s item to this day. 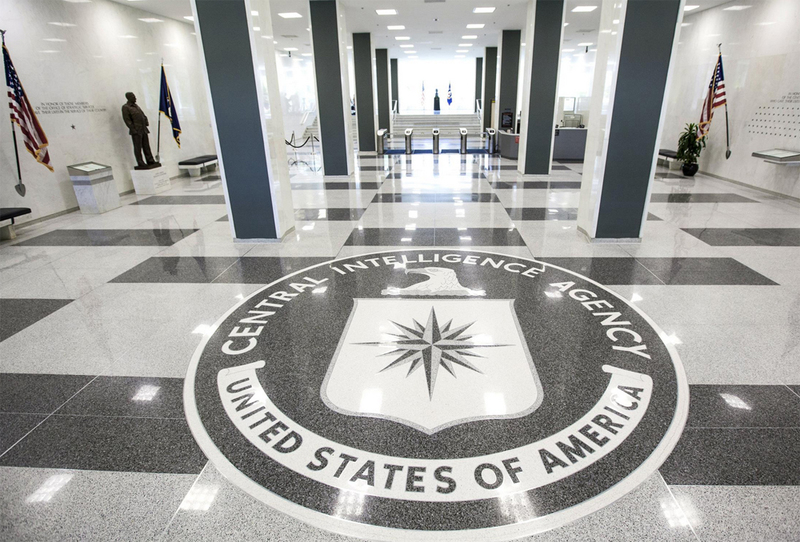 The lobby of the CIA headquarters in Langley, Virginia. 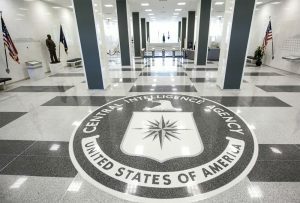 George Kisevalter was a CIA operative active during the Cold War who was the handler for Major Pyotr Popov, the agency’s first major Soviet source of positive intelligence in the postwar period. Popov had been a member of the Soviet Army’s branch of the foreign military intelligence agency and contacted American intelligence in Vienna, Austria in 1953 with the offer to spy for the United States. 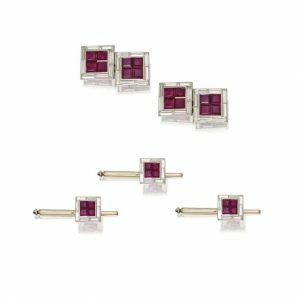 The pair of cufflinks created for Kisevalter and his agent Popov to secretly communicate. For the impending five years, Kisevalter handled Popov in Vienna, collecting detailed information on Soviet military plans and capabilities from Popov. 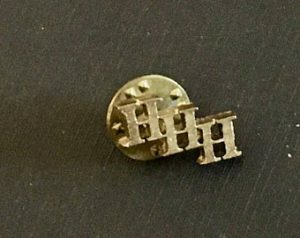 In order for the two operatives to recognize one another and serve as other “clear” signals, the CIA had two sets of cufflinks made. One set was given to Popov to wear and the other was kept at CIA Headquarters as a back-up. A close-up of the gold cufflinks created for Popov to wear. During the period of time that Kisevalter and Popov worked together, Popov provided some of the most important and relevant intelligence, and was considered “the CIA’s most important agent.” Popov was captured by the Soviets and subsequently executed in 1959. 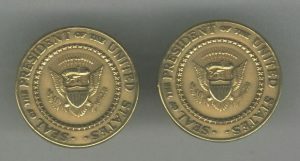 Upon his retirement from the CIA, Kisevalter was gifted the second pair of cufflinks as a memento for his dedication to the CIA and his agents. 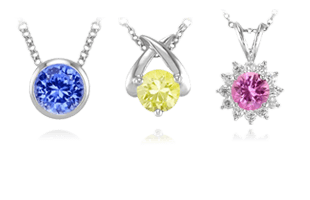 Next, we explore the periods of style of jewelry and their techniques, designs, and settings in Jewelry Styles and Periods | A Guide to Features and Settings.